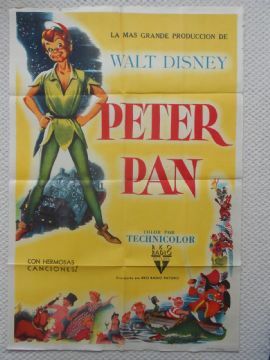 Original 1953 Argentinian one sheet movie poster from the classic Walt Disney film ' Peter Pan ' featuring the voices of Bobby Driscoll and Kathryn Beaumont. This poster is in VG-Fine condition and measures 29" x 43". This poster has a little edge wear. 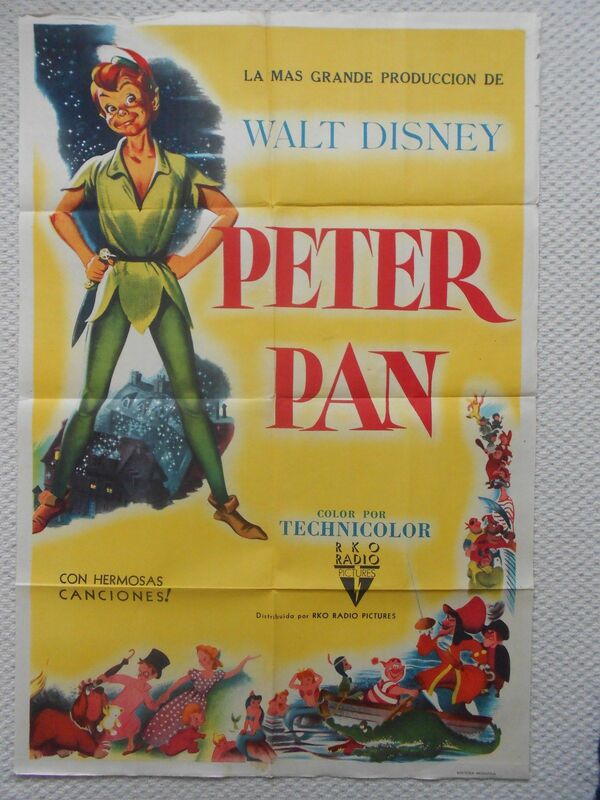 A stunning poster from one of Disney's classics. This poster very rarely shows up for sale.